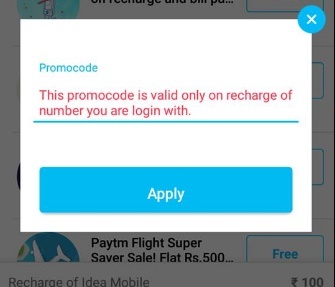 Paytm is now offering an amazing offer On App where you can Get Rs. 25 cashback On Recharge & Bill Payment Of Rs. 100 Or Above. This Offer is Valid For First 3 Recharge Only. -Paytm cash is credited within 24 hours of the transaction into the user’s Paytm Account.